Winning breakfast bowls — Alevri & Co. If you're anything like me, you love hot food all the time. Now don't get me wrong I love raw foods too but there's something magical about a warm bowl of tasty goodness. I guess that's why I love making hot cereal for first meal, well into the warm months. I should mention that I live in FL so it's pretty warm here most for of the year. That never deters me from eating hot food, I'm the kinda girl who wears boots all year long ya dig? A short time ago I started to post what I was eating a few times a week, I noticed the bowls" were getting a lot of love so I stayed within the trend and started to list the components that made up my bowls and the breakfast bowls were definitely the most popular. 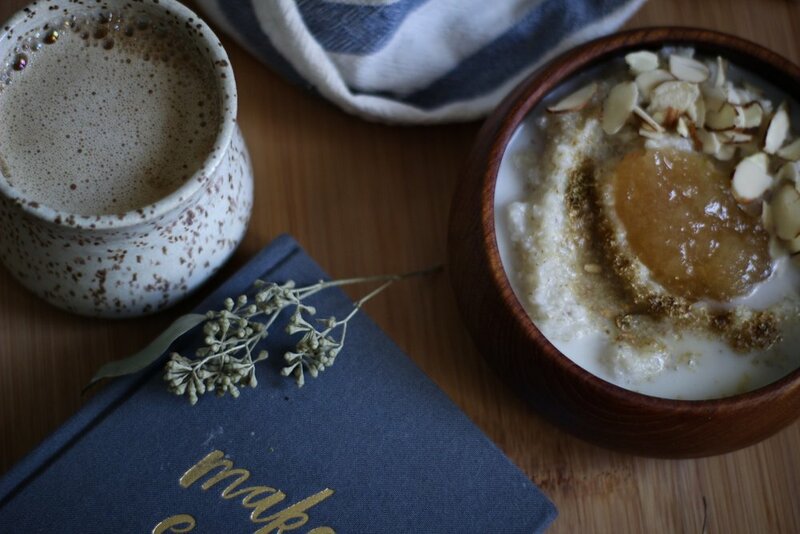 So here I'm going to share how to build a winning hot cereal bowl, my favorite bowl recipes and a shopping list. Who's excited? I am, because this post is one of a few requested by my Instagram fam. Steam your mylk, or don’t then add it to your cereal bowl. Sprinkle dried tea, vanilla bean... or whatever flavor you bowl calls for. That’s it, it’s that simple. Now that it’s really really hot outside I’ll probably start making smoothie bowls on the weekends. Should I share those too? Let me know in the comments below or Instagram. Shopping list for these bowls coming soon!!! !